So, you want to tip your Uber driver? You want to take a photo at your favourite beach and share it instantly on Instagram? You want to order a pizza using Domino’s augmented reality? Then you need a well-priced phone plan with plenty of data to get through day-to-day living. $16 every 28 days for 1.25Gb data, 200 minutes calling and unlimited texts. $26 every 28 days for 2.5GB data, 300 minutes calling and unlimited texts. Both plans come with free calling to other Skinny mobiles. Calls are to Australia and New Zealand, and both minutes and data roll-over to the next month if not used. With both plans, you can also buy add-ons if you need more data or minutes in a month, including 500Mb over 28 days for $8, or 600Mb over seven days for $8. 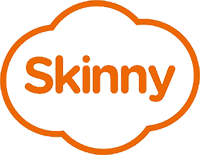 Skinny benefits also include plans having no lock-in timeframe, being able to use your existing number and an easy-to-use online dashboard. $16 every 31 days for 1.25GB data, 200 minutes calling and unlimited texts. $30 every 31 days for 5GB data. Calls and texts are to New Zealand and Australia, and data rolls over for up to 90 days (but minutes do not roll over). Warehouse Mobile offers cheap rates outside of these combos, if you run out or you want to buy the data-only pack. This includes 4c per minute calling, 2c per text and 6c per MB data. The Warehouse Mobile’s $16 combo auto-renews after 31 days but the $30 data “Pick ‘n’ Go pack” does not, so you need to remember to renew it. Customers can bring over their existing number, and top-ups can be done through an app or by texting. 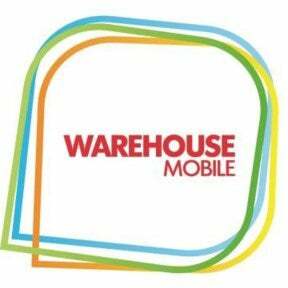 Affordable phones can also be bought either through The Warehouse or Warehouse Stationery. $19 per month for 1.25Gb data, 200 minutes calling and unlimited texts. $29 per month for 2.5Gb data, 200 minutes calling and unlimited texts. Both plans including calling and texts to Australia and New Zealand, unlimited calls to 2degrees mobiles and a free hour of data every day. Plans auto-renew after a month but there are no long-term contracts, with both minutes and data carrying over if unused. 2degrees also offers a number of add-ons which can be added to your combo. This includes a Data Clock which gives unlimited data for a set amount of time – ranging from 40c for 15 minutes to $6 for 24 hours. $19 every four weeks for 1.25GB data, 200 minutes calling and unlimited texts. $29 every four weeks for 2GB data, 300 minutes calling and unlimited texts. With both plans, Spark offers 50% off Spotify Premium and 1GB of free data per day through its Wi-Fi zones. Data and minutes roll-over if unused, but there is a cap of 3.5GB of data and 500 minutes calling that can carry over. The $29 plan currently includes a bonus 2GB of data each month. Spark now offers what it calls Data Lovers prepaid plans, although the benefits do not seem to be as good as the Value Packs. This includes a $20 pack every four weeks for 1.5GB roll-over data, plus 1GB of socialiser data to be used exclusively on Facebook, Twitter, Messenger and Spotify. Calling costs 49c per minute, texts are 20c each and additional data is $1 per day for the first 10MB, followed by 30c per MB thereafter. Spark also offers a range of monthly add-ons or extras, covering data, calls, text and international data. Again, these packs are not as economical as the Prepaid Value Packs, but can be handy if you need something extra for a one-off occasion. This includes $9 every four weeks for 1GB of socialiser data, $5 every four weeks for 100MB of data and $15 every four weeks for 1GB of data. Spark’s prepaid plans offer the chance to bring your own number if you want. $28 every 28 days for 2.5GB data, 50 minutes calling and 50 texts. $30 every 28 days for 2.5GB data, 200 minutes calling and 500 texts. Data and texts roll-over on these plans, up to a maximum 3.5GB unused data and 500 unused minutes. Plans can easily be changed with a MyVodafone app or website. Outside of these plans, calls cost 49c per minute, texts are 20c each and casual data is 20c per MB. However, Vodafone offers a range of add-ons if you need a top-up, including $3 for 300MB over a day to $20 for 1GB over 30 days. Vodafone allows you to bring your existing number and it offers a range of handset deals for prepay customers. Basic plan: $20 every 30 days for 1.25GB data and 200 calling minutes. Value plan: $25 every 30 days for 2.5GB data and 300 calling minutes. Both plans include unlimited texts, with calls to New Zealand and Australia. Customers can buy 1GB of additional data for $12 as an add-on: this lasts for 30 days and does not roll over. Slingshot mobile plans are easy to set-up and customers can use their existing number. Plans use the Spark network, offering good coverage across the country.